Thanks to Each and Everyone for making this Journey to Rootstech Awesome. Much Love! Labels: Rootstech 2016. Genealogy. My True Roots. Ike Ivery. 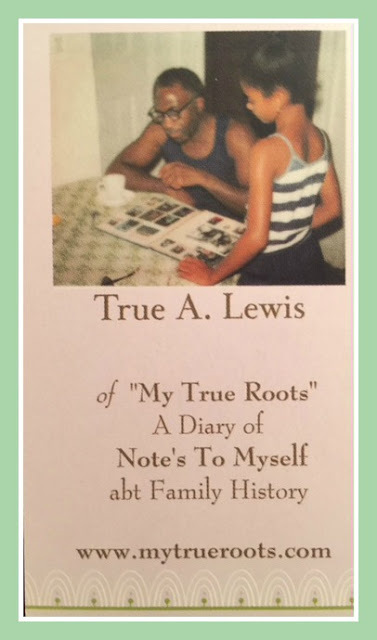 I'm Collaborating with a Group of Women who are documenting their Family Heirlooms. I do find this Blog Prompt satisfying. It gives me a way to share with you some of my Memories. These are Heirlooms to me. They are items I actually got to pick out with my Siblings and say I will be the Gatekeeper of these items for our Parents and for us. My Parents who were born in 1918 and 1923. They knew the value of good home products. My Parents took Pride in owning their own home and the things they filled it with. I have this Blog where I can have them remembered and timestamped for my future Descendants. That's the part I love the most. They will actually have a first hand account of these items that meant so much to me growing up. They will know they had meaning to me. They won't have to wonder where did that come from Granny? What do you remember about them? What was their house filled with? All those questions little people ask and even as grown ups we are still asking those Questions. My Parents saved some of their Parents personal things. I loved hearing those stories about the Quilt and the Skillet and how they came about safeguarding them and what memory they had? What they want US to know as they passed them on. It was filled to the brim with pennies. It had a few buttons, a pack of matches probably for our gas stove we had forever and a few safety pins. That's it. It was the Keeper/Holder for that! It was bright and cheery and it was cute and I loved it. I wanted to keep it. 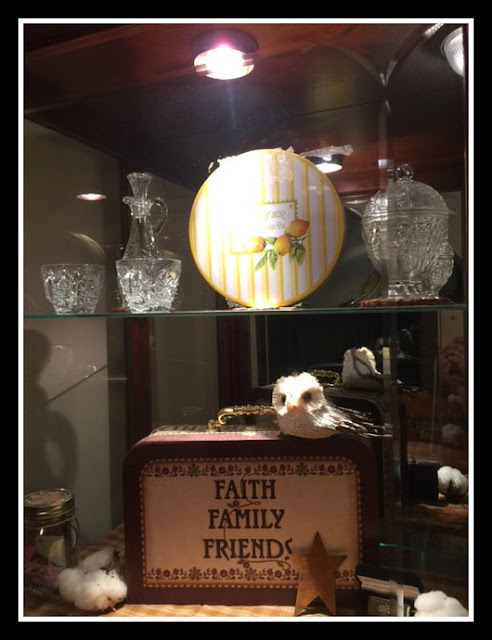 Mom had knick knacks all over the house. I always knew what were my favorites. She kept things and I could see the meaning on the Why. Now that I'm grown I have that same glint in my eye on why I keep certain knick knacks. So since it's bright, orange and cheery sunburst didn't go with any of her other dishes, I decided it would go home with me. Now I keep it on display in all it's Glory in my China Cabinet. Wonder what Mom would make of that? She'd love it. Glad I have her feel for knick knacks too. Labels: Family Heirlooms. Notes to Myself. African American Slave Research, My True Roots. Note To Myself: I should of done more! This was fun. 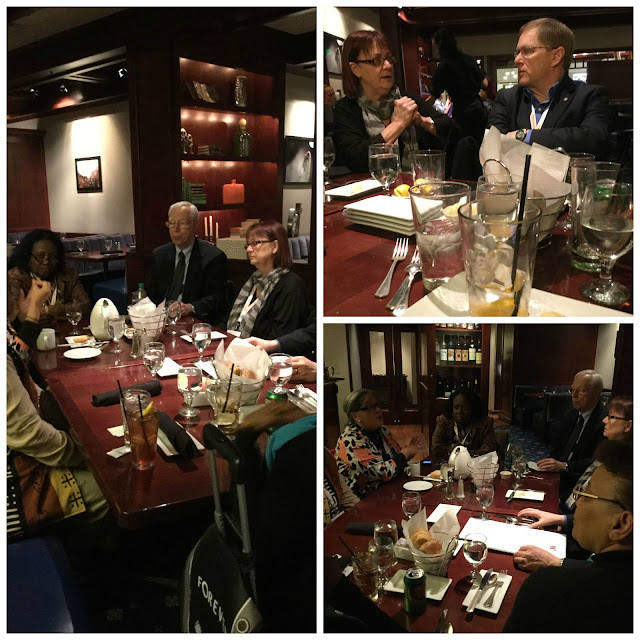 Labels: Genealogy., Rootstech 2016. Notes To Myself. My True Roots. African American Research. Last Official Day of Rootstech! Morning: Lots of rearranging of the packing. Making sure I had my roller back pack with all my immediate needs just in case. I was on the red-eye flight that night, so not to much was gonna go on, but sleep. Took a final photo of me and the Mountains. Checked my Luggage at the front desk till the end of Rootstech. I had a lazy morning. I finally got to eat correctly. Usually I had tea or coffee and went on my way. Today I got the buffet breakfast. Me and Shelley just hung out and took it slow. I was able to do a Oral History Recording with Video at the FamilySearch "Record Your Story" Booth. One of my highlights. They gave us a thumb drive for preservation. Afternoon: Strolled around Rootstech. It was Family Discovery Day. LOTS of folks with their children. Right before we were about to leave. I spot Crista from the 2nd floor. I happen to tell Shelley let me take one more good last look. I saw Crista Cowen The Barefoot Genealogist. I begged Shelley. Hold on. I'm taking the escalator down. You meet me down there. Boy! I hopped on that escalator and almost ran down, so I wouldn't miss her. I waited until Shelley made it down. Hilarious. Crista was talking to someone. That gave me time to get my wits all together. I was so glad to see her. Crista in my head is that big sister that gets on your nerves sometimes but you love her to death. She is my best friend Nicka's Cousin! Over at Who is Nicka Smith? Crista is the Bomb she gives it to you straight in Genealogy Daily. For that I have the up most respect and admiration for her. She's a walking encyclopedia for Genealogy. I'm so glad she allowed me to take the picture of our Purple Pedi Toes!! Isn't that the cutest! Evening: Me and Shells heading to the Hotel after this. We were wandering off and then Shelley had her one moment. Should I get the book? Me; What BOOK!? For goodness sake she was taking me into the den of BSO'S (bright shiny objects) AGAIN! called the "Exhibit Hall". I had escaped after meeting Crista and here comes Shelley saying she has to get one more thing that is all the way in the BACK! I swear I wanted to put some blind folds on. This was pure torture! I somehow manage to get back there without being side tracked. I was mumbling and whispering to myself the whole time. Don't LOOK and Don't TOUCH one more thing! It won't be the last time I see Shelley. I parted to the Plaza with my luggage. I came with 32 pds and left Salt Lake City with 44.9 to hitch a ride to Myrtle's with the rest of the Geneabloggers. Roger Moffatt chauffeured me and 3 others to Myrts which is another story in itself. How I ended up with Roger is another thing! He was my Shadow the whole time at Rootstech! He was a pure HOOT! I got to sit in the back with Tony Proctor from Ireland. So I got some Me time in with my Irish Fellow. What a treat! They say if you don't have a picture to show, it didn't happen. WELL, I was! I went to Dear Myrtle and Mr. Myrt's house. I just didn't have a need for my cell. I was in the moment and making my memories last. I hadn't even thought about taking pictures. Madea showed out! Do you hear me? Her Daughters did everything they had all our needs met. Beautiful meal and desserts. The whole family did a wonderful job hosting us Geneabloggers. Beautiful home. I got to see where all the Genealogy Fairies and magic happens. Desserts from Jana and Roger! 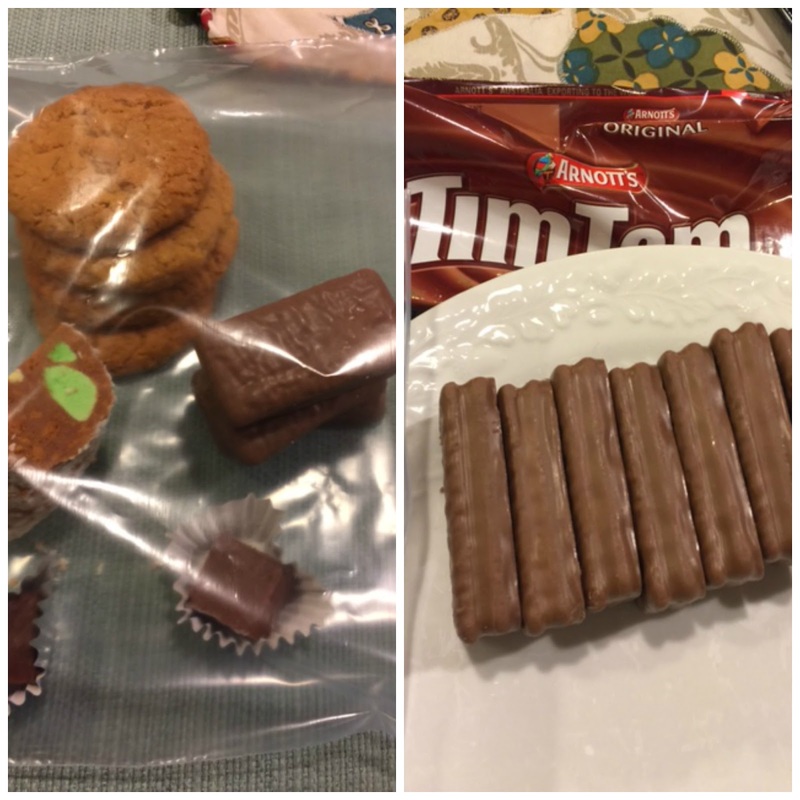 & TimTams! Dessert at After Party with Dear Myrtle, 2016. Can I tell you I went out with a bang. I got to hang out at Dear Ol'Myrts' house with all my fellow Geneabloggers from all over the US and World. When it was time to go. I got overwhelmed with seeing each and everyone in person. I admired everyone of them over the years. Thomas McAntee, Jen, Cousin Russ and his Smile and "infamous hat" with Cousin Russ on it was a hoot to see every day as I passed him. I hope he knows how welcomed he made me feel! Eric Jelle, we got to spend time talking and we have been to some of the same places in our military career. So glad I met him. Randy. Jessica. Fran. Ms. Peggy! Tony from Ireland. I missed Hilary and wished she was here. I even boo-hooed over leaving Roger! Very intimate gathering. What I wanted to tell you was that last year Caitlin Gow was here from Australia. Last year, Caitlin and Cheri kept me going with all their tweets and blog pieces when I couldn't make it. Dear Myrtle had a After-Party last year as well. The same spot. I can't tell you where it is because someone else is gonna do it next year that is a Newbie in that same spot. I had a meltdown in the same spot Caity did!!!!!! We have now designated that "Spot" as a Historical Landmark. Yup, Madea is getting a place marker for that spot someway or another. That is how you end Rootstech! My Last Post will be coming soon! and I'll tell you how I really feel about Rootstech! #Rootstech for all things related to the Conference. Rootstech Website Here you will find a viable guide to Everything you want to know that happened over the week. 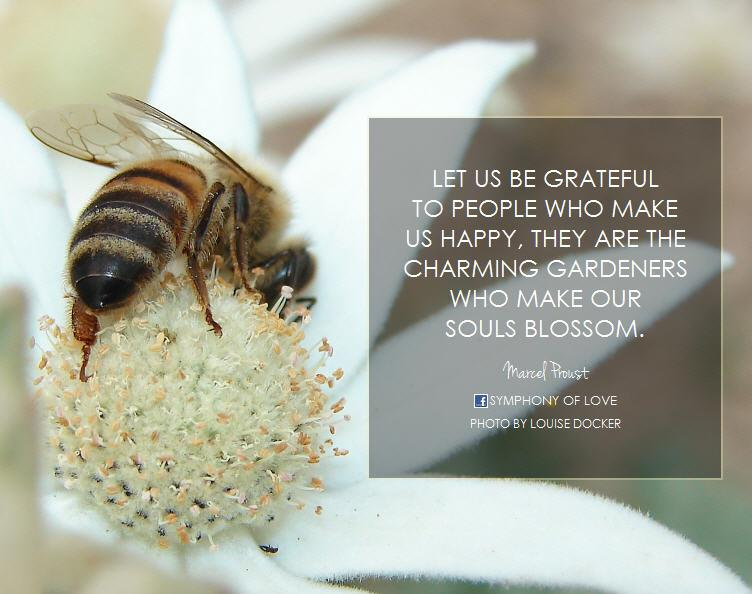 Note to Myself: Grateful. Loved. Appreciative. Memories for a Life time. Friends. 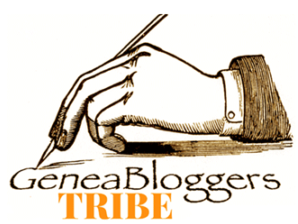 Geneabloggers. You made it to Salt Lake City, Utah. 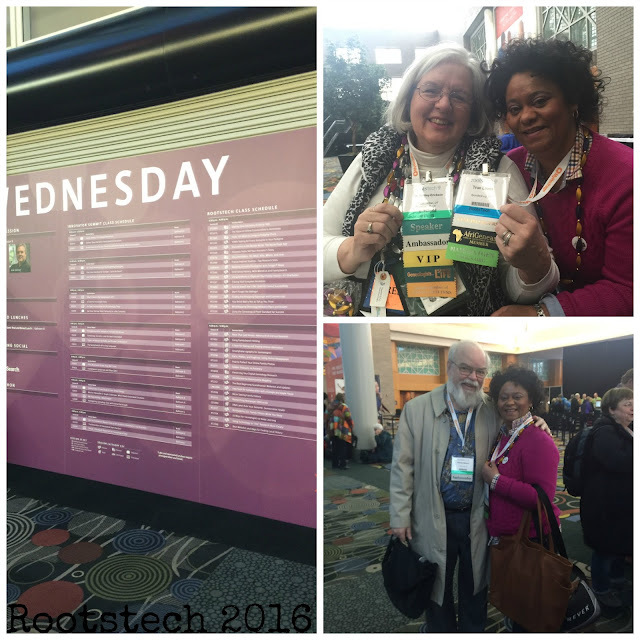 Labels: Rootstech 2016. Genealogy. Ike Ivery. African American Research. Slavery. Notes to Myself. Morning: All I can say at this point. I had hit "The Wall". I was literally beat up at this Point! My morning consisted of just trying to hit the Exhibit Hall one more good last time. I need a complete walk around. I did just that. That is where I took the most photos. I wanted to always remember that Hall. So I started from Innovators Alley all the way to the back with independent Vendors working for theirselves. Afternoon: Had Lunch in the Concession area. So I could enjoy all the people coming and going. Making notes and getting prepared for my Track. If you saw a lot of people with RED on Friday. It was Heart Day. The Convention recognized that. Everyone had a little red on. I wore my Red in Honor of Mom and Shelley! Panelist included: Angela Walton-Raji. Shelley Murphy. Janis Forte. Evening: Was the big Shin Dig hosted by My Heritage. They gave us a PARTY! and a Gift! I was invited by "Special Invitation" from Dear Myrtle. 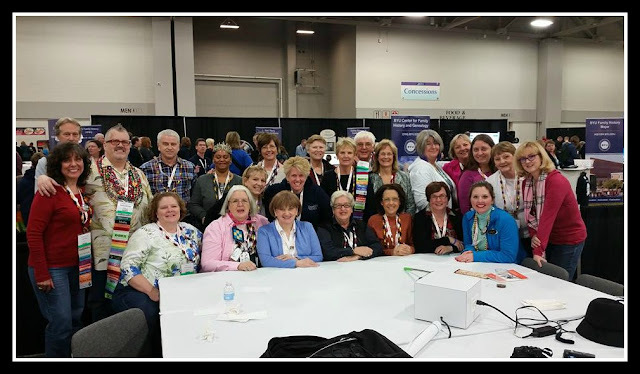 Pat set a Group page for us Bloggers to hang out before Rootstech. That is why you see this photo of Me and Jen. We bonded from Day one in the Group and we were 1st Timers. So it was natural that we grew together during this time period. We made a Lifetime Friendship. Isn't that Sweet we choose each other for our My Heritage Photo. We hung out, danced, sang. Just enjoyed each others company. Thanks Jen! 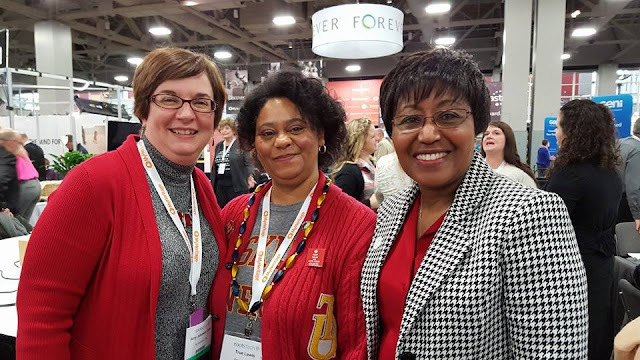 for making this so memorable and being 1st Time-Besties for Rootstech 2016! Jen of Repurposed Genealogy! ♥︎. Day 3! I was beyond myself! I was Giddy. I was tired and I didn't want it to end even tho I wanted to crawl somewhere and Sleep. No time for that. I had a full day to let it all sink in! 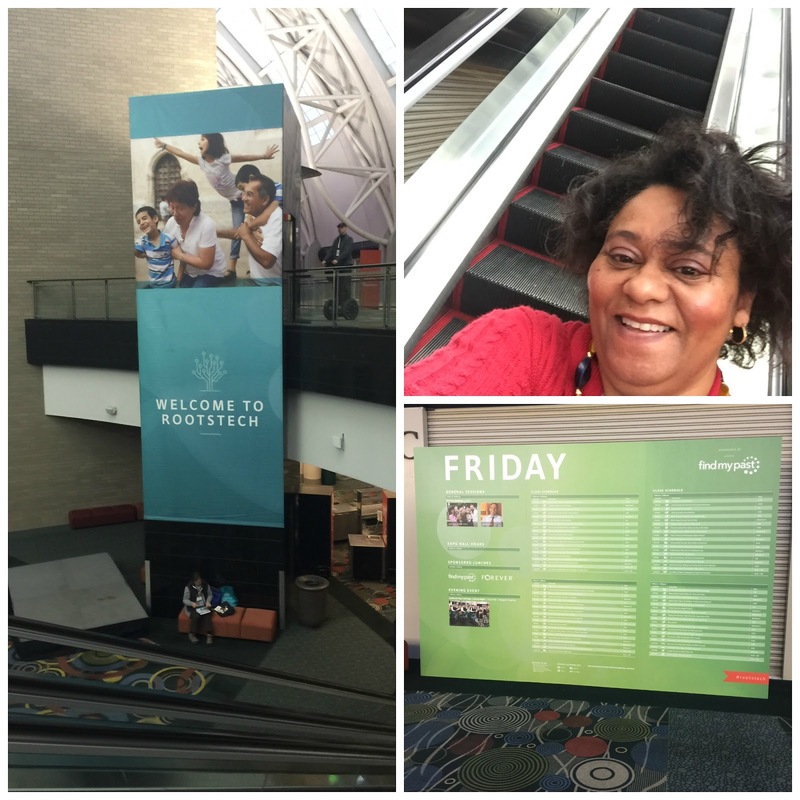 I had made it to Rootstech! See ya for Day 4! Note to Myself: True- you need to Organize all this mess you made for your OWN Genealogy. File all that scrap paper and make digi copies. 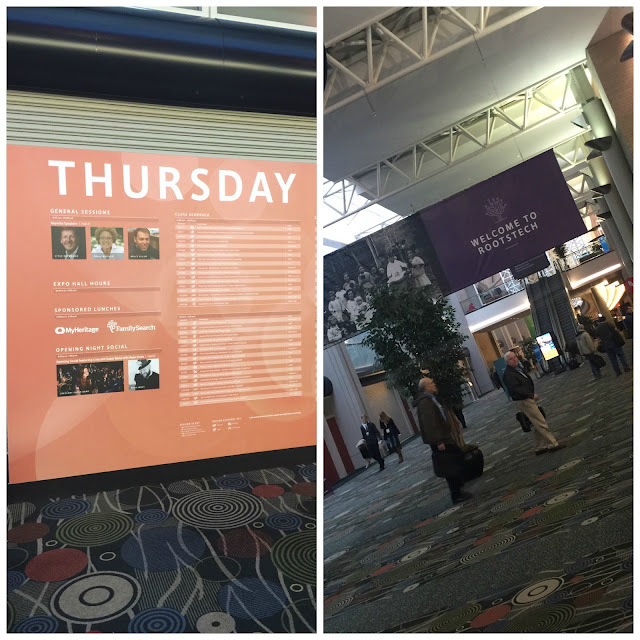 Labels: Rootstech 2016. Genealogy.Ike Ivery. African American Research. Slavery. Notes to Myself. 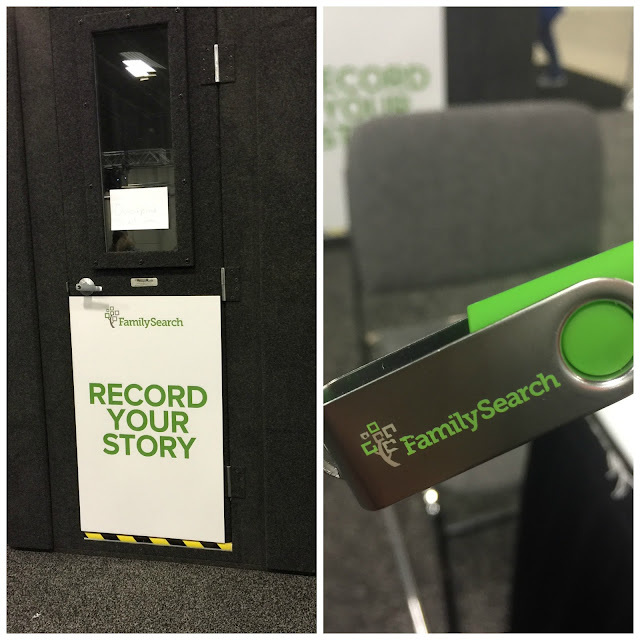 Day 2 at Rootstech 2016. 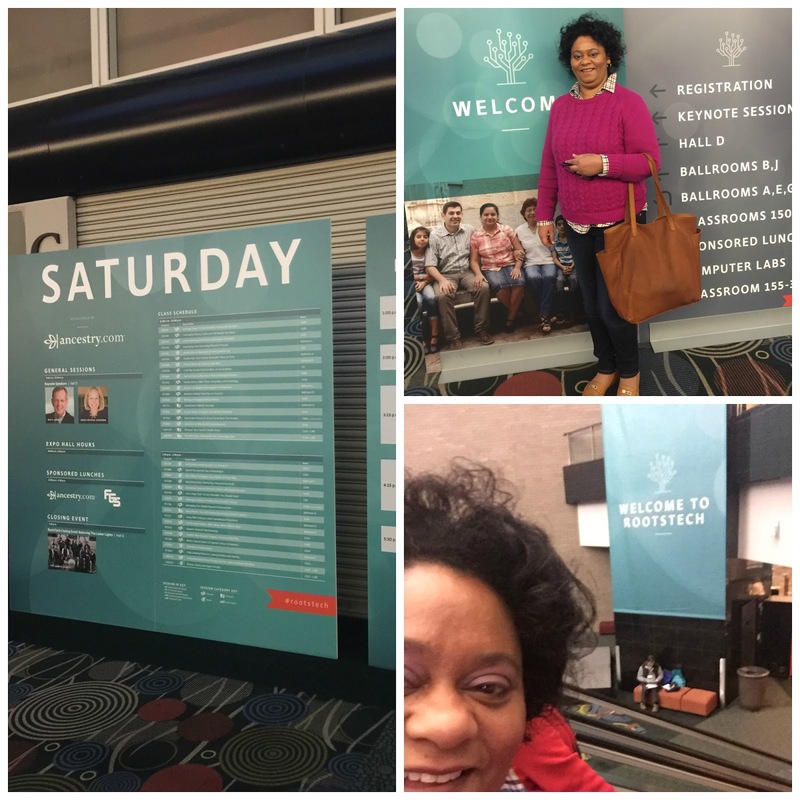 Morning: I went to General Session. I met CEO Steve Rockwood of Family Search. Photo was taken by some good folks at AncestorCloud. Please take a look at their website. They were so good to me throughout Rootstech. I can't wait to use their Site! Jana Last of Jana's Genealogy and Family History Blog asked me to be on the "sofa chat" with her Interview in the Media Hub. I sat right beside Jill Ball of GeniAus. I was in the right place at the right time. Thanks Jana! for this special memory and AncestorCloud for this Gift. Paula Madison on her Inspiring Story on her Grandfather Samuel Lowe. I ran into people all day long. You must get your Selfie or Speak to them as you see your Gen Buddies. It's such a busy time you don't know if you'll run into them again. I took every opportunity I could to speak to so many people who's blogs and products I follow. I just didn't want it to go unnoticed that I enjoy and appreciate their Work. Deep inside I was hoping and happy when I did get a 2nd chance. I got to meet the Youngest Ambassador for Rootstech Ruby Baird by chance as I was turning the corner. Her mother was very gracious when I asked if it was okay to take a picture. She even took it for me. So sweet! ❤︎. Very bright young lady. Afternoon: I spent all afternoon in the Exhibit Hall! My last post you will see all the photos I took from that. From Innovators Alley and beyond. Soda and Water was FREE everyday! They had food vendors everywhere. I was steady grubbing. I'll also ran around the Exhibit Hall meeting Innovators. Leaving my address labels with Vendors for drawings. Everything was catching my eye. In the Genealogy World we call them BSO's. I was BSO'ed out ALL DAY long. There was always something around making me go to get a closer look. So glad I did.....you'll see what I mean in my wrap up post. At 1:00pm after Lunch ALL Geneabloggers! had a Group photo. I was taking a deep breath taking it all in being around all my fellow bloggers. The camera dude caught me right at the moment! I'm the only one with my eyes closed and wearing Thomas MacEntees' Crown. Can you believe that? I was in my Moment! 4:20 I had appointment with Family Chartmasters! They will do my Ivery Family Tree ready for 2017 in Orlando, Florida. Evening: I was hungry! and running to Elevations to meet AAGHS African American Genealogy Historical Society Members attending Rootstech with Jim Ison, Manager of Family Search and David Rencher, Family Search. That conversation and all the information and connections going back and forth. I was amazed. I have to Thank them for including me. I learned so much just in that dinner conversation full of knowledge and resources. The ins and outs of exhaustive research. I was so impressionable. WoW. Gotta Go and prepare Day 3! See ya Soon! Don't forget to use the #Rootstech anywhere and you can find interesting things about the Conference. Note to Myself: Don't forget True to Add from your Diary as you remember to this blog post. I know you have Notes scattered all over the place. Family Heirloom. 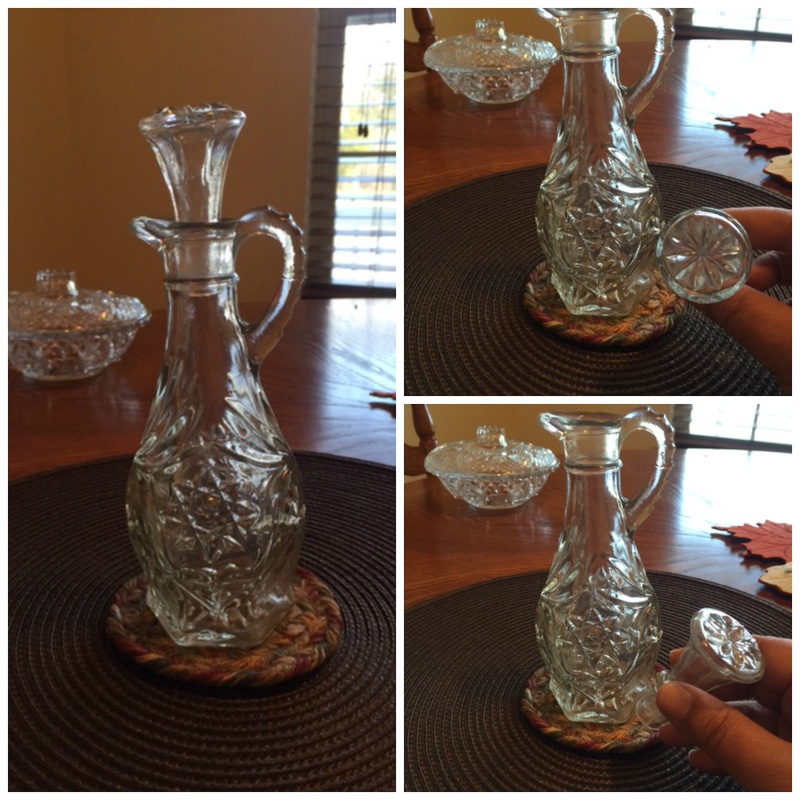 "The Vinegar Jar". It was simply known as the "Vinegar Jar" in my house. My Mom had the WHOLE set. Dishes. Glasses. Punch glasses with Saucers. 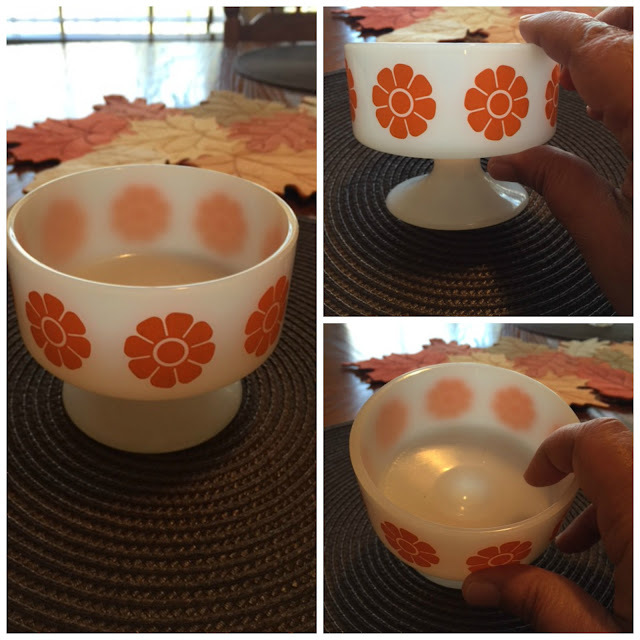 Cream and Sugar Bowls. 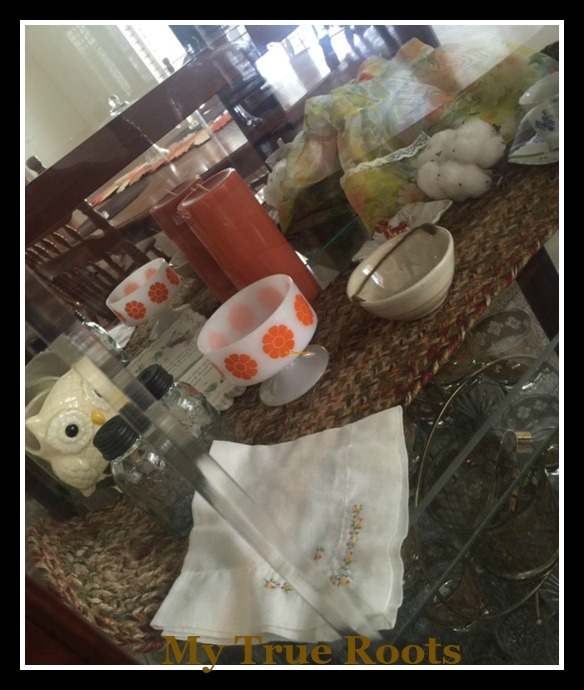 Salt and Pepper shakers, the candy dish and the Infamous Vinegar Jar! Those were the dishes we were not allowed to touch unless company came. Mom kept the candy dish and shakers out for everyday use along with the Vinegar Jar. Why do you call it the Vinegar Jar? Ever since I was little it sat on a shelf near the stove. In my family we had Collard Greens A LOT. Collards were always on our Supper table several times a month. My favorite way to eat Collard Greens was to pour Vinegar on them. I don't know how I got started with doing that or why? I just did. It's like people who argue over salt and butter on their Grits vs the Sugar People. By the way, I eat my Grits with salt and butter. That Vinegar Jar was about one of the few things of fancy heavy crystal that I was allowed to "handle". It was my responsibility to keep it filled too! When my Parents passed. My Sister; Bettye and I decided she would be the one to keep the whole set together in one piece. As a Family Historian I know we aren't suppose to separate pieces like that. Especially a Collection of this magnitude. I begged Bettye to let me keep the Vinegar Jar. That was a strong memory for me and I just didn't want to part from it. She said it was okay. Bay knows it's in Good hands. It's the only thing missing from the set but she knows where it is. I'm so glad she entrusts me with so many of Moms' things. So that is how it came to be that I have the Vinegar Jar. Hello to YOU for Stopping Over! True with Pat "Dear Myrtle" & Randy! Day 1 at Rootstech 2016. Morning: My Day started at 7:00am for Registration to get your lanyard and passes for the coming days. As I arrived, I ran into a Host of Genealogy Friends. The line wasn't long. I got what I like to call my Rootstech swag. Forever provided us with a wonderful bag to hold our goodies and supplies in. After that I toured the Convention Center and got a look around and saw the lay of the land! I took photos. It was the Calm before the Storm. Afternoon: This is the most fun. Luckily I did this. I sat right at the bottom of the elevator for hours. I saw EVERYBODY pass me by. That is the greatest spot on Day 1 to People watch. I got so many meet and greet pictures of my Genealogy Friends just rushing by I had the best seat in the house. Just sitting around soaking all the activity around me. Of course I had Lunch with Shelley better known as Family Tree Girl. Judy Russell: RT9330 / More than just Names. Evening: By Evening. I had so much excitement bubbled up. I had a "Special Invitation Only" by Dear Myrtle. I got to have a Private screening of the 45 min Documentary by Paula Williams Madison on her story of her Grandfather called, Finding Samuel Lowe. 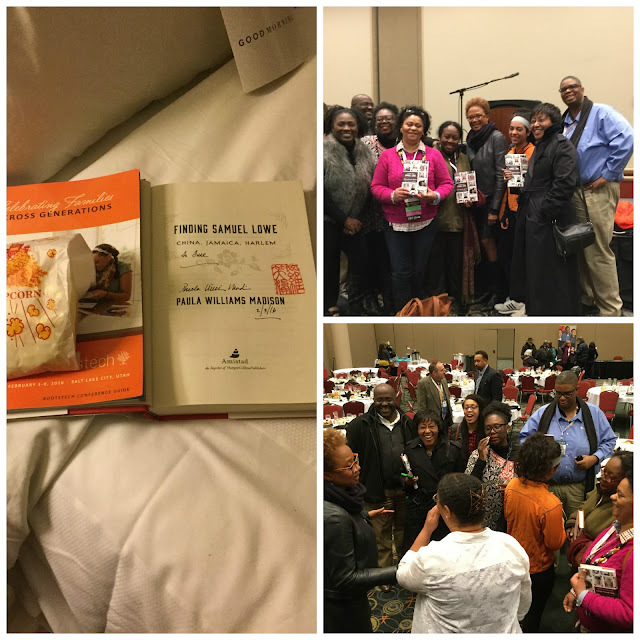 This set the tone for my whole Experience at Rootstech! After that I was Inspired to find my way around as a first timer! When I tell you I cried and boo-hoed. I mean my tears were overflowing I had to leave the room and compose myself. When she got to speak to all of us in the audience there was a few times she had to hold her breath to. There were parts to her conversation to the audience that made her choke up. When she was overtaken by the Spirit at her grandfathers grave it busted me all up inside. All I could think of is when I saw Granddaddy Ikes grave for the first time. You just get overcome with grief sorrow love and pride all wrapped in one. Then you gain your sense of Peace. A Peace within you, that you know you can go on and will forever let every one that crosses your path to remind them you will not be forgotten. Your Ancestor is with you all in that one moment. Your tears are your Libations to them. I found you....I know where you are...I will continue to Honor you for all you have done for me to be here and for my Descendants. She took some precious time to spend with a group of us afterwards to fulfill our questions we were wanting to ask and took plenty of photos with us. What touched me the most was when I introduced myself to her. Hello,I'm True. True Lewis. She said; really, thats interesting! My Daughters name is "Faith". True Faith. I felt like balling right there! Was that the sweetest? Like it was meant for me to meet her like. I hope she knows this Sista had so much love for her and I just met her. She "Communed" with us. I hope it helped in her healing, even tho she was grieving at the same time. Her beloved Uncle had passed. She will arrive in China to his funeral 4 hours before. 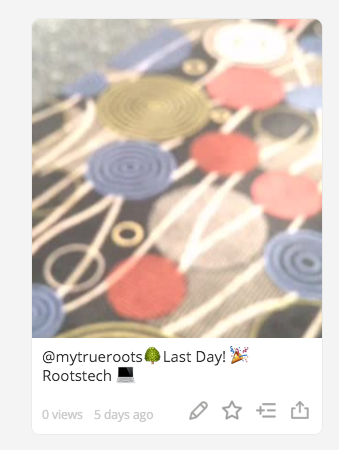 Cutting it close to spend time with over 25,000 people attending Rootstech. I also met the Sistas of Zion for the first time! As my Mom would say! What a Time! What a Time. Overwhelming Joy! I will always remember this Lifetime moment Dear Myrtle gave me as a Gift. Thanks Pat! Day 1 was pretty fantastic! Thank You Rootstech for having me. I so enjoyed myself I forgot all about my fears and anxiety and it was washed over by so many terrific moments. Now to hit the Ground running for Day 2! Come back! and Thanks for Stopping Over. 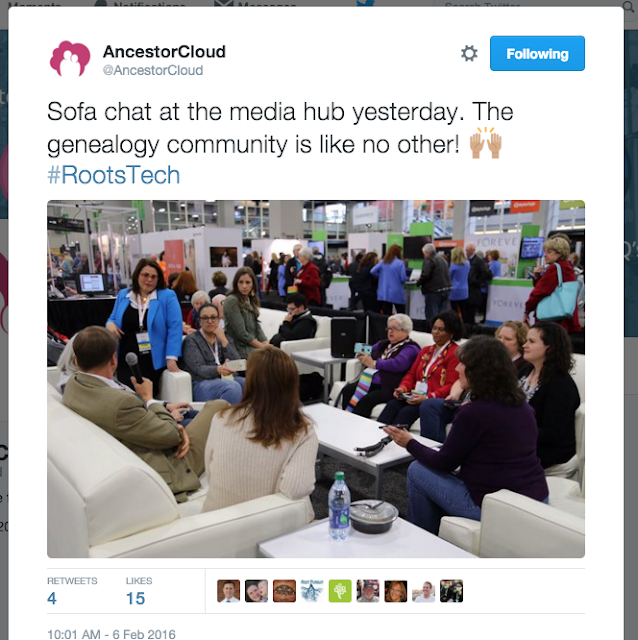 Use #Rootstech anywhere and you can find interesting things about the Conference. Note to Myself: As you remember from your Diary please add to this blog post. Note To Myself : I was SO excited I didn't Post this on time. February 7th, 2016. 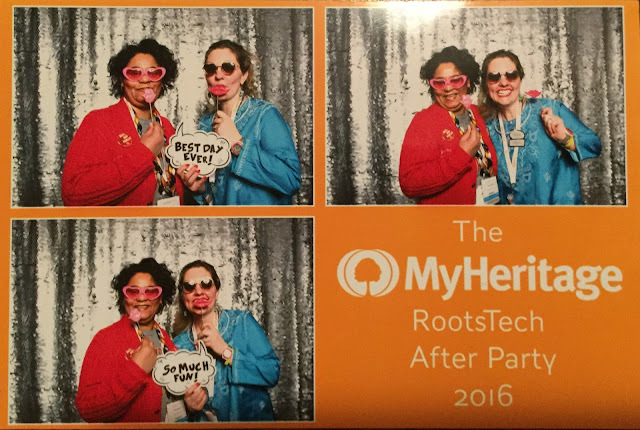 After Rootstech 2016. Can you tell I'm excited about Rootstech ? Next Month February 3rd - 6th. I'll be in Salt Lake City! 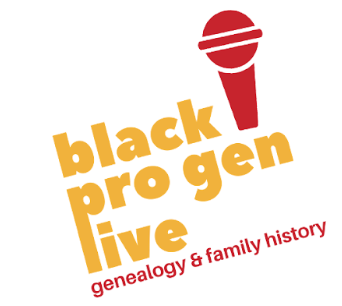 It's been a "Bucket List" Dream for me to Attend since I learned of it's Importance in the Genealogy World. I use to live in Washington State in Tacoma for 3 years so it will be good to be headed out that way again! I've been so anxious and excited since September. Energy for Dear Myrtle's After Party! I'm gonna be a First-Timer! I have had all these dreams of what it's like to be around thousands of other Family Historians and Genealogists and Technology folks in one room that are so enthused like myself ? I also have Family History Library time. On Tuesday night, I get to meet Israel and talk DNA and a Host of others that I have longed to meet. My Circle of Gen Friends has grown over the last 3 years and 3 months. I'm excited to see them in person from Facebook, Twitter and the many Bloggers I hang out with online but haven't met in person. I have a List of Folks I have got to see! Keynote Speakers: Paula Madison! Doris Kearns Goodwin! Steve Rockwood, Bruce Feiler, and Josh & Naomi Davis (Taza) . Just added was StoryCorps Dave Isay & Michael Leavitt. On Tuesday! I finally meet my Mentor. Dear Myrtle or Pat. I call her for many reasons "Madea" we are having lunch at the Blue Lemon with many others. This is how I get to kick Rootstech off. Meeting Dear Myrt! I hope I don't go OfF like a Party-POP! when I see her. To Top my night off. I got to see Cousin Russ! I also spend time with my Black Pro Gen Sisters! I'm having Supper with them! Can you believe I get to see them in person? 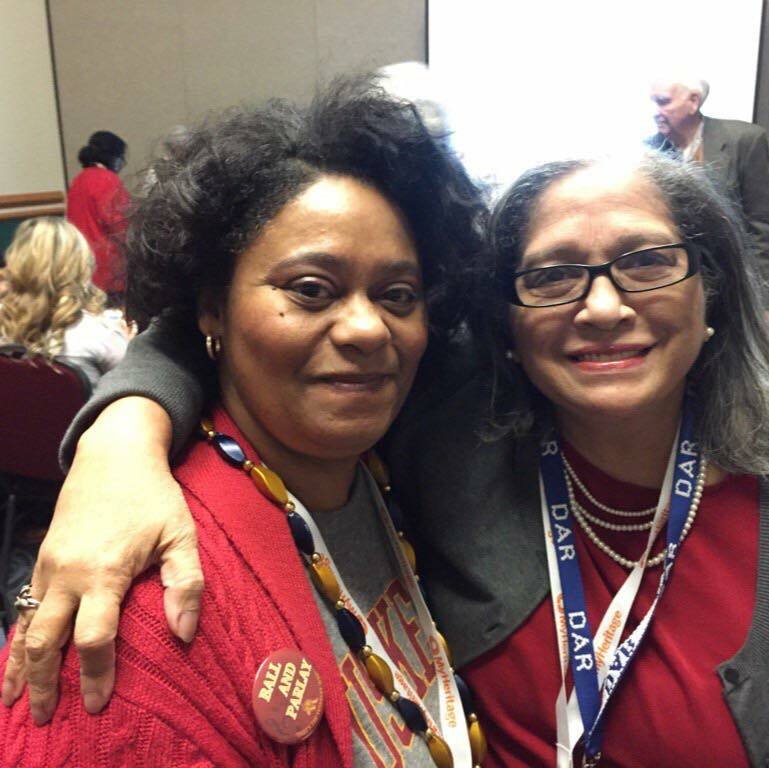 Angela Y. Walton-Raji and Bernice Bennett! Especially my Cousin Shelley Murphy Family Tree Girl. The 1st person I see at Rootstech is Thomas McAntee of our very own Geneabloggers! What are the Odds? Unbelievable. I was so glad to hug him. On Wednesday! I'll have a special surprise for you! Don't worry, I'll give you all the details AFTER the Event. You won't want to miss this one! Trust ME! On Thursday at 4:20 I have appointment with Family ChartMasters! very exciting on how they will help me put my Slavery Heritage Family on display for a gift to the Ivery's later. We have a Reunion in 2017 in Orlando, Florida. Friday! By Special Invitation I go to the After Party. My Heritage is Hosting! There will be Prizes and I know that is gonna be one heck of a shindig. I'm getting up early everyday! I'll rest when I get back to Kentucky! I'm sure my night life will be up to par as well! I plan on "Hanging Out" as much as possible. The After Party with Dear Myrtle and Friends will be a Blast! I'm bringing something sweet and special from my Home State! So you will have to come back for that Surprise! I'll have lots of pictures to show! I am gonna do my best to let you see the in's and out's of the week. I'm gonna miss Hilary and Caitlin and Paul and a few others but we will try our best to make them feel like they are here with us. I'll have lots to share! If you can't be there. My Blog Sister Cheryl of Carolina Girl! has a Link to all that is Online for live streaming! Take a Look at her Blog. She has tons of information and experience. 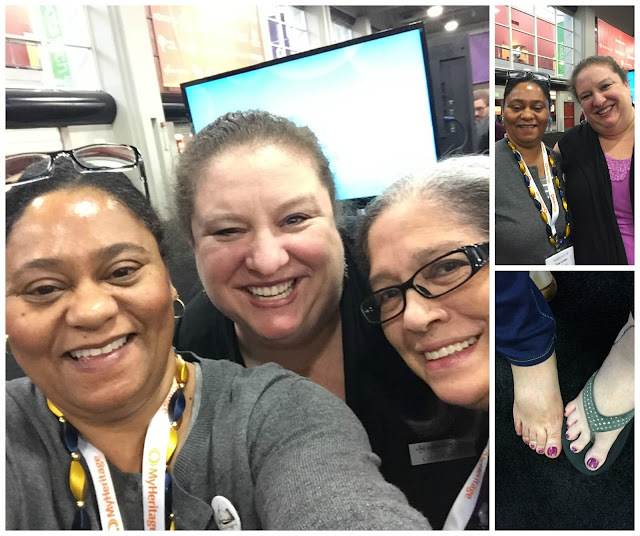 I followed her around Rootstech 2015 when I couldn't make it. See ya! at Rootstech 2016 in Salt Lake City, Utah! in Person and Virtually! My True Roots "Calling Card"